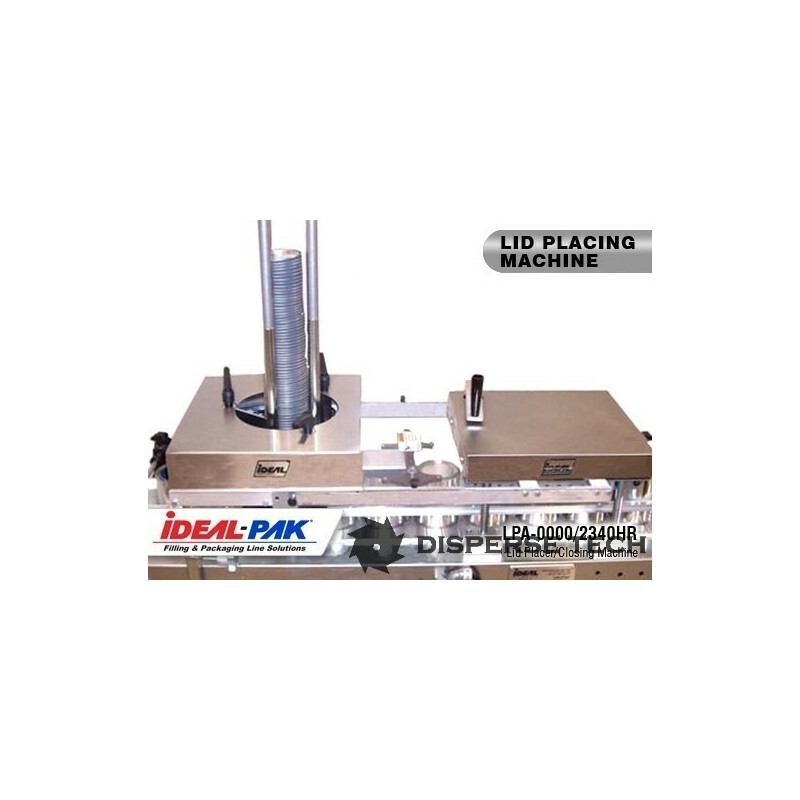 The LPA-0000 will place metal lids from 1/2 pint to one gallon. The LPA-0000 will place metal lids from 1/2 pint to one gallon. 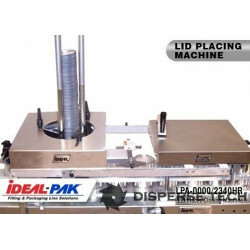 A lid is held above a conveyor and as a container passes under it the lid is released. The container with lid is conveyed through a set of star wheels, ensuring the lid is seated properly prior to entering a closer.